Club Caption: greater engagement of your students, greater reach of your content (+ a surprise)! Boost the learning experience of your students around the world with automatically translated subtitles. Discover Club Caption! Did you know that subtitled videos have 70% more retention? And that 30% of online course students activate the subtitles? 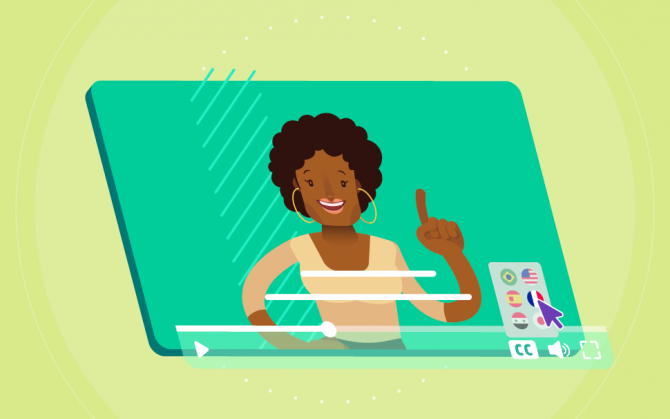 To make your students’ experience even more complete, and launch your product around the world, Club Caption is here (and we have a surprise for you at the end of this text)! After all, what is Club Caption? Club Caption is a feature that has just arrived at Hotmart Club to boost your students’ experience even further. Now, you can generate subtitles automatically and also translate them from the original language to over 200 languages. You don’t believe me? Well then, you’re in for a surprise. It’s an exclusive opportunity to automatically subtitle your videos in Spanish, English, French, and Arabic, and also translate it into languages such as German, Hindi, Japanese, and many others. Let’s suppose that you teach English classes and wish to market your video in Arabic. With Hotmart Club’s Caption, you generate the subtitle in English in the Members Area itself and then, translate the content into the desired language. And there’s more. After all, this is an entirely free tool for those who use the Club’s Video Player and its configuration is quite simple (You can check out the step-by-step further below). What are the main advantages of Club Caption? Sell your content around the world, in a multitude of languages, which is also a unique opportunity to explore new markets, right? Improve the experience so that your students can watch the content from anywhere, even in situations in which they cannot hear the audio (on a bus or waiting room, for example). If you use the Hotmart Club’s Video Player, simply enable the Club Caption, and that’s it. #9. You’re done! Your students can now watch your content in different languages. >> If you have any questions about configuring or using Club Caption, you can check out our FAQ for further details. DID YOU REALLY THINK I FORGOT ABOUT THE SURPRISE? Nope! We have more great news at Club Player: the Video Retention Report! We know that it is necessary to constantly measure your results in order to evolve (always). With this in mind, we provide a report that shows how your students are behaving regarding your content, i.e., whether or not you are retaining your audience. If you notice that your Students aren’t really interested in your content, you can draw insights to help you rethink your material. If your retention curve drops at a certain point, perhaps your content can be improved regarding student expectations. The Nose is the first 2% of your video. If your engagement drops at this point, this may indicate that your audience isn’t interested in your content. The motivations can vary, including the video’s failure to catch somebody’s attention. On average, according to the study, the loss of engagement in this section of the video is related to its duration – in the case of the analysis made by Wistia, 4.9% for 1 or 2-minute videos. What can you do to improve the engagement of your videos? Avoid talking too much about yourself – let the video’s page present the context. The Body represents 96% of the video, i.e., the majority of the content. This might be the most critical moment to make your engagement drop. After all, your viewer might’ve gotten bored with the content. And why is this critical? Because a disappointed viewer might not wish to watch another video, or may even give up on your digital course. On the other hand, this may also mean that they have found what they wanted to extract from the video and are satisfied. Each video may have different reasons for low engagement figures; so, keep an eye on it. Select a soundtrack that your Students enjoy to keep them engaged. The video’s final 2%. Here, it is important to be aware if you have a call to action: It’s natural for people to close the video once the “value” content has been presented. When we talk about video duration, the study shows the highest drops in engagement at this point in the case of 10 to 20-minute videos. Pay attention to the soundtrack used to indicate that the video is really ending. Haven’t used Club Player yet? – Compatibility with .MKV, .MP4, .AVI, .MOV and .MP3 file extensions. Hotmart’s Product team is already creating even more unforgettable surprises so you can increase your students’ experience and boost your digital business. We’ll tell you all about it soon. Did you like Hotmart Club news? Enjoy all the features of Club Caption in your Members Area! 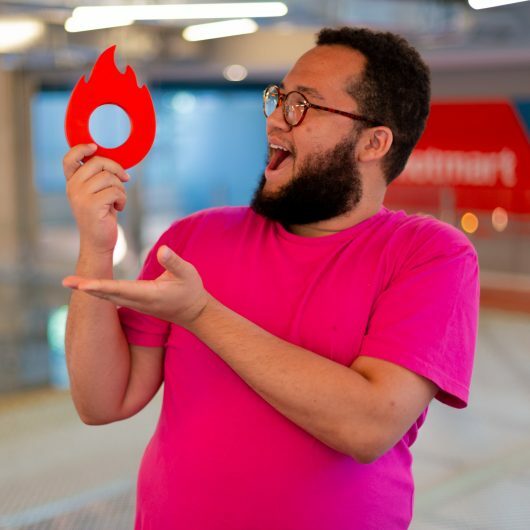 Carlúcio is an adman who specializes in Digital Communication, Copywriter in the Product Team at Hotmart. He also loves Madonna and Daenerys Targaryen. The checklist you need to get it right! Find out the importance of this tool to develop more effective products and strategies.